We are a collaborative of small family farms from southwestern Colorado, northwestern New Mexico, and now the North Fork Valley of Colorado. Our farms came together in 2014 to form the Southwest Farm Fresh Cooperative, a farmer-owned marketing and distribution business. We began by serving wholesale customers only, but in 2016 we launched our very own multi-farm CSA in Durango. In 2018 we are expanding this CSA, our Harvest Share program, to Cortez as well as Durango. Click on the Harvest Share page at the top to find out more about this awesome farm to table program. 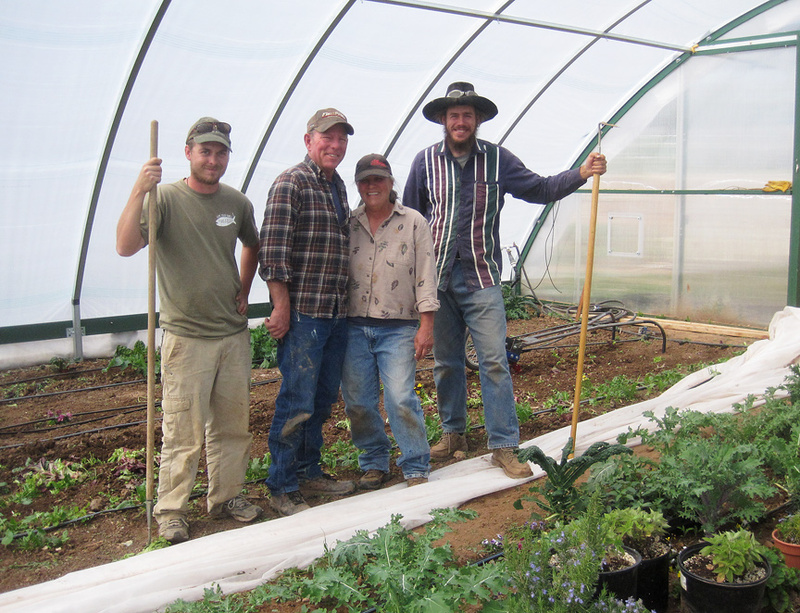 The work of Southwest Farm Fresh is an outgrowth of Local Food Logic LLC, which turned over its business to the producers of SWFF at the close of 2013. From LFL’s humble start as a pickup truck and four coolers to SWFF’s current reefer-truck supported system, the distribution business has seen dramatic growth in a few short years. We are a young organization, but our strength is in our farmers and their commitment to the success of this endeavor going forward. Our funding partners include the USDA Rural Business Development Agency (RBEG), the USDA Local Food Promotion Program, the USDA Farm to School Program, LiveWell Montezuma, the Colorado Dept. of Agriculture’s Enrich Colorado Ag program, the Rocky Mountain Farmers Union, and the City of Cortez. Thank you partners! Why Use Southwest Farm Fresh? Local ingredients are marketable ingredients. Customers enjoy connecting the food they eat with the farms they know, and your use of local products places you in this chain of appreciation. Food, more than ever, is an experience of place and a sense of community. Customers want local, and Southwest Farm Fresh makes it easy to supply that demand. We are proud to deliver the freshest and best-quality ingredients in southwestern Colorado. Living in this land of extremes, the mountains and desert, creates a terrior unique to our regional products. Sourcing local ingredients can be challenging. We accept that challenge and provide you with a benchmark of quality that cannot be met by mainstream industrial suppliers. Your use of Southwest Farm Fresh promotes family farms, sustainable agriculture and prosperous communities. Dollars spent locally help keep wealth in our communities, and keep farmland in low-impact production. Prosperous farms can in turn supply schools and food banks with much-needed healthy food options. We work with more than 40 satisfied wholesale accounts in Telluride, Rico, Dolores, Cortez, Mancos, and Durango to bring you an authentic and marketable farm-to-table experience.